Support groups can provide a wide range of benefits for people caring for family members with disabilities. These groups can offer information, tips, and emotional support through both the good times and the bad. Joining a group may also help caretakers learn more about a disability or a disabling disease, new treatments available, and legal or financial tips involving caring for a loved one. Support groups are comprised of people who share a common interest. Groups that focus on a disabling disease or condition are often run out of local hospitals or community centers. The individuals who lead support groups may have a disabling disease themselves or have experience counseling people. Support groups typically have regularly scheduled meetings on the same date each week or month. Alternatively, some support groups take place online to allow those unable to travel to meet in chat rooms or other virtual environments. Support group meetings are often informal. The person who heads the group will do introductions at the beginning of a meeting so that new members can get to know the other members. New members don’t have to jump right in and divulge all of their problems; members are free to discuss problems or share news as soon as they feel comfortable doing so. In addition, there is no attendance requirement. Some individuals enjoy coming to all of the support group meetings, whereas others may only come once in a while or when they feel they need the support of others. Meetings usually take place for about an hour. If a scheduled meeting is longer, members may be asked to bring a lunch or to bring a snack to share. Depending on where the meeting takes place, beverages, such as coffee, tea or water, may be available to group members. A primary care physician or healthcare specialist for the person you are caring for is often the best place to start when looking for a support group. You can also find support groups through advocacy organizations for a specific disability or health condition. If the organization has a website, the support group information is often posted there. In addition, many churches and community centers have postings on their bulletin boards that provide the meeting dates and times for specific support groups. If you can't find support group information through these sources, call your local hospital and ask to speak to someone in the counseling department. These individuals will be able to advise you about their support group offerings as well as any other groups in your area. Sometimes people have feelings that overwhelm them, especially if they find themselves unexpectedly caring for a person with disabilities. 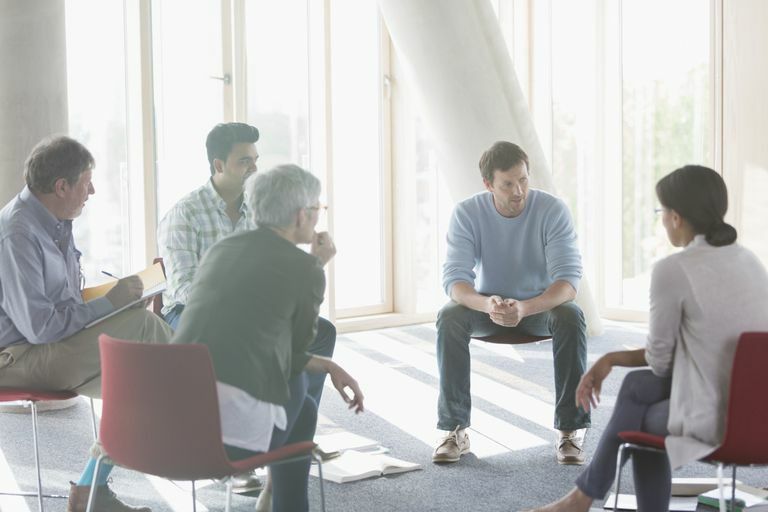 While a support group can help people vent their problems or share tips and experiences, they aren’t a substitute for psychological counseling. If you’re feeling anxious, angry, depressed or suffering from sleep deprivation as a result of being a caregiver, it is time to get additional help. Don't hesitate — set up an appointment right away to speak with your primary care physician about your situation. They will be able to give you guidance and, if necessary, recommend an experienced counselor who can help you with stress management and coping strategies.